Apple clearly remembered the dramatic power of his voice when it commissioned a TV ad for the iPad Air earlier this year. It included a sole passage of narration: the lesson on poetry and life delivered by Williams’ character John Keating in the 1989 classic Dead Poets Society. After Williams’ death on Monday, the words are that much more meaningful — and heartrending. Robin Williams — who first made America laugh and eventually touched “every element of the human spirit” in a remarkable range of performances — died at his Northern California home Monday. Williams apparently took his own life, law enforcement officials said. He was 63. Coroner investigators suspect “the death to be a suicide due to asphyxia,” according to a statement from the Marin County, California, Sheriff’s Office. Robin Williams married graphic designer Susan Schneider in Napa Valley, California, ceremony in October 2011. “This morning, I lost my husband and my best friend, while the world lost one of its most beloved artists and beautiful human beings. I am utterly heartbroken,” Schneider said. Word of Robin Williams’ death stunned the entertainment community and beyond Monday. Marin County deputies responded to an emergency call from Williams’ home in unincorporated Tiburon, California, at 11:55 a.m., reporting “a male adult had been located unconscious and not breathing,” the release from the sheriff said. Robin Williams was pronounced dead at 12:02 p.m., it said. Robin Williams was last seen alive at his home, where he lives with his wife, at about 10 p.m. Sunday, the sheriff’s statement said. “An investigation into the cause, manner and circumstances of the death is currently underway by the Investigations and Coroner Divisions of the Sheriff’s Office,” the sheriff’s statement said. An autopsy is scheduled for Tuesday, the sheriff said. Williams made at least two trips to rehab for drug treatment, including a visit this summer, and heunderwent heart surgery in 2009. Winkler said he “realized I was in the presence of greatness” at Williams’ first rehearsal as Mork. The role led to the spin-off show “Mork & Mindy,” which showcased Williams’ usual comic improvisation talents. He proved his dramatic acting skills in “Good Will Hunting,” a 1997 film that earned him a best supporting actor Oscar. 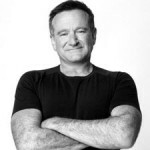 His memorable movies over the past three decades includes “Good Morning, Vietnam,” “Dead Poets Society,” “Mrs. Doubtfire” and “The Birdcage.” The list is much longer. Williams’ fans can look forward to four more movie appearances coming to theaters, including another installment in the “Night at the Museum” franchise. The film, set for a December release, has Williams reprising the Teddy Roosevelt role he delivered in the first two comedies.